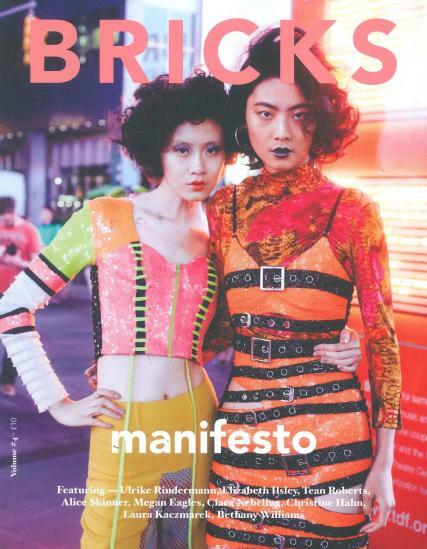 Bricks magazine is an independent fashion photography magazine based in Bristol, the creative hub of the South West of England, and is out four times a year.Buy a single copy or subscription to Bricks magazine. Bricks focuses equally on design, photography and styling. Exploring creative collaborations between fresh talent and established leaders through a quarterly print. This magazine is aimed at young professionals who have a passion for art, design, music, fashion and culture.